Can you pls advice on Crompton greaves, I had taken it at 224. Shall I hold it or sell?? I never recommended sell or shift in a stock. I use shopkeeper approach as describe in my book. Crompton Greaves is an Avoid due to reducing promoters holding with 82.70% pledged shares.Bulk deals etc. Sir, can I buy it at any market fall around 28 300 quantity. ? I want to hold it for 2 year's. I am expecting it as a multibagger, I won't sell it at 40 or 50. But only at decent gains. Shall I buy it for long term..? What wud be target price and time horizon..? National Fertilizers . its book value is getting decrease year-on-year. does it make any difference to select the stock? why you look bulk deal factor, like whats wrong if there is any bulk deal. Book value down from 34.09 to 30.19 is due to reducing reserves from 1263.85 cr to 990.42 cr but this company has still 990.42 cr huge reserves. In my theory bulk deal is a sign of speculation activity in stock and as my experience ( you may also note it) that when a stock have many bulk deals then stock price is beaten down badly within 2 years in more then 75% 0f bulk deal cases. Is your book available Online? 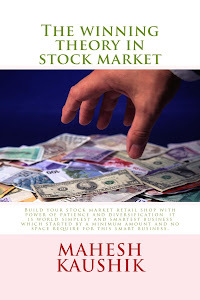 Dear Mahesh Ji, can i buy all the stocks recommended by you in the last 3-4 months? Secondly can i invest more than 5000 in a single scrip? Thanks & God Bless. I have just entered into the stock market and dind your recommendations very much. Need to ask one thing that if I can now enter into NFL at 29 ? No, Check fundamentals of these recommendations again and if any of above recommendation year high/low ratio is above 2 then do not buy at CMP and if recent bulk deal is there then do not buy, and if any stock traded over it recommended price then do not buy at CMP otherwise it is ok to buy at CMP, Please read my book for more details. 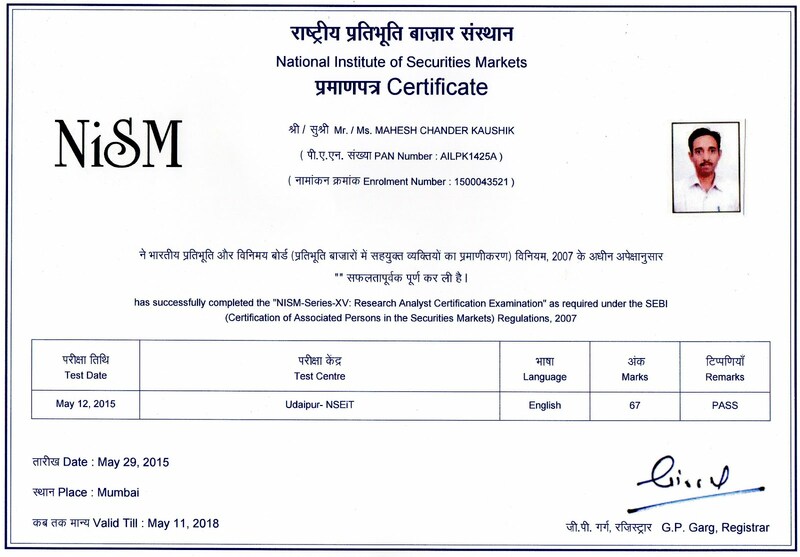 UPI ji your research is good but I cannot consider P/E or EPS because I think if Net sale is good then one day stock get his position. Hi mahesh sir, can I buy NFL now , one more question ke humne NFL buy kiya or kuch din baad usme block ya bulk deal ho jaaye toh ????? ?